The conference has a limited number of travel awards available to students, and researchers from developing countries. The awards are NOK 10 000 per person. The deadline for applications has now passed (1 pm (CET), January 2, 2019). In addition, DNAqua-Net will likely be able to support travel to the conference for students and early-career researchers from Inclusive Target Countries (ITCs) in Europe. For more information and how to apply please see the DNAqua-Net website on ITC Conference Grants. Grants applications can be submitted in April/May, 2019. 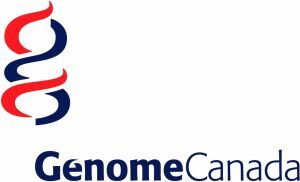 The Genome Prize for best Post Doc presentation (2 awards, $500 each). The prize will be given to early career researchers with no more than 5 years experience post PhD graduation. The Diversity Prize for best Post Doc presentation (1 award, $500). The prize will be given to early career researchers with no more than 5 years experience post PhD graduation.